This post is sponsored by Vagisil® and Her Campus Media. All opinions are always honest, and always my own. Use as directed. See here for full product information. Now that I’ve gotten past my teenage and early 20s, I no longer worry about unexpected pregnancy. Back in the day, it was something you stressed about and even had irrational contraception methods. If there wasn’t a toilet seat cover, I would panic that I’d somehow get pregnant. Such irrational (and honestly comical) thoughts knowing how hard it can be for some to conceive. While I don’t treat this topic lightly, the statistics show that 1 in 2 women may need an emergency contraceptive in her life. Since I want to ensure people are prepared, I like to share the options. Preventeza™ by the makers of Vagisil® is a one tablet, one dose emergency contraceptive that helps stop pregnancy before it starts. As you know, Vagisil® has been shameless about vaginal health for over 40 years. It’s okay to talk about this TMI stuff, because it’s something we all need to discuss more openly. It’s everyday health, and it’s okay to discuss the semantics. 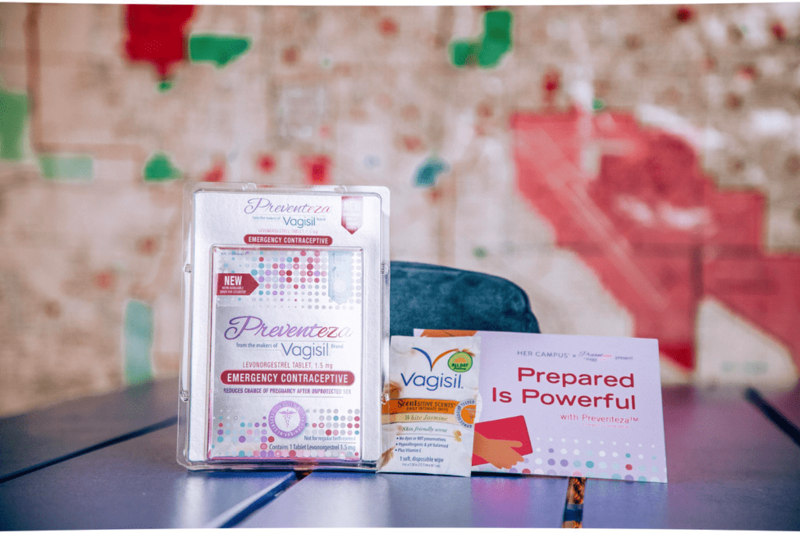 My goal with promoting Vagisil® with this emergency contraceptive is to give women an option in the heat of the moment. Knowing that this contraceptive is a stronger dosage of birth control, I am not ashamed to support this as I have been on birth control for many years. I am of the mindset that I, and anyone else, should be prepared to start a family. If you don’t feel ready, and there is an accident, then you have another method. It’s not your only option by any stretch but this post at least gives you the awareness of some potential options. What are your thoughts when it comes to birth control and emergency contraceptives?